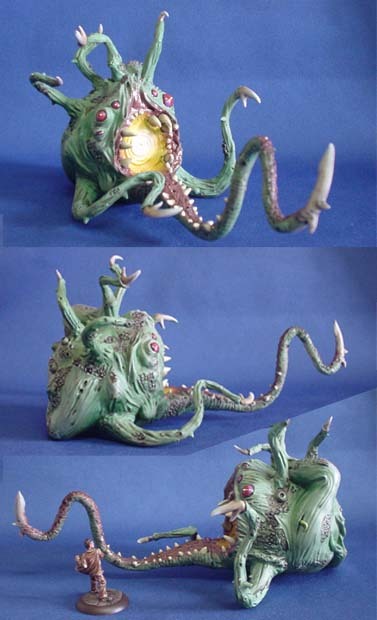 The RAFM Cthulhu Great Old One is the perfect model to send your group straight back to the sanitarium! Measuring 200mm by 110mm this beast is mindbogglingly huge. This is a resin and metal kit. Painted by Chris Smith. 30mm figure for comparison only.